We are well established London based company. We take jobs all around London within M25 and in SE, Surrey, Kent, West Sussex and East Sussex. We specialise in Carpentry work. Construction carpentry - construct, install, and repair structures and fixtures of wood, plywood, and wallboard, using carpenter's hand tools and power tools. Show Apartments, Trade Show Stands, Concert Stages, Temporarily Walk Paths, House Extensions, Loft Extensions, Decking, Garden Huts, BBQ areas, Emergency boarding up. Rough carpentry - wooden structures, concrete forms; tunnel, bridge, temporary frame shelters, according to sketches, CAD drawings. Project Manager - who also acts as Estimator, respond to tenders and keeps everybody in line with the current regulations and health and safety requirements. She is our shining Star with over 18 years’ experience on large projects as Chelsea FC refurb, Wembley stadium, BBC new building in central London and studio builds as a project engineer and acceptance testing technical manager. Her projects include BBC Weather Studios and BBC edit suits and the main BBC News Studio, the design of BBC Election Studios and the Virtual reality studios for Jeremy Vine. 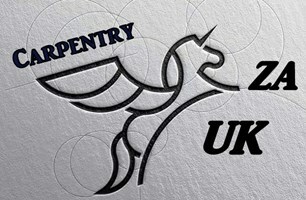 Wood craftsmen - with over 18 years’ experience each in refurbishment of private homes (kitchen installations, flooring, doors), Fashionable bars, offices and new builds projects in central London - Working to designers’ requests, good understandings of CAD drawings - time keepers and good eye to details. We support an apprenticed program so we can pass the knowledge to the young generation We promote Detail oriented and Dexterity.